As more people discover the recreational and medicinal benefits of cannabis, it’s quickly becoming a household item before our eyes. This means exposing it to toddlers and our furry friends, which can be a cause for concern. If you’ve got a pooch or kitty at home, you shouldn’t be leaving cannabis around, especially potent goods such as edibles and concentrates. We now know that our pets can benefit greatly from cannabis; hence the explosion of CBD products tailored just for them. However, while it might be funny to think what your dog would do if he was stoned, remember that exposure to THC (tetrahydrocannabinol) is no laughing matter since they are extremely sensitive to it. It also depends on what you’ve got lying around your home. 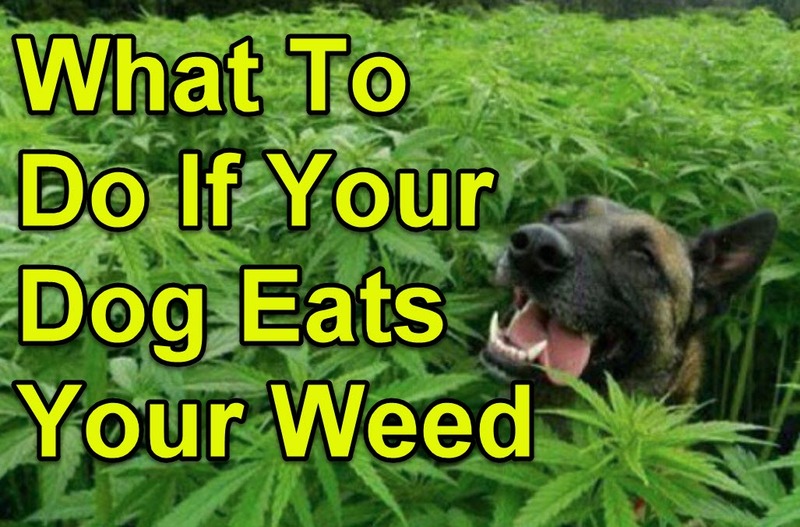 If you’ve got a stash of weed on a plate and your dog ate some of it, she should be fine. Cannabis doesn’t produce psychoactive effects until its been decarboxylated or exposed to heat (such as when you light up a joint). But if your dog gobbled up several of your 25mg gummy bears, take action and take action quickly.